The American yogurt market has remained pretty steady over the past few years, yet the yogurt areas in all my go-to grocery stores keep expanding, meaning it’s an increasingly competitive industry, and this fosters the sort of tense environment that sometimes can lead to suspicions of corporate espionage. On Wednesday, Bloomberg reported that Dannon Co. sued its former senior vice president, Federico Muyshondt, alleging he divulged trade secrets to colleagues at his new job, which is with Chobani LLC. Both of these companies, obviously, are renowned for their yogurt. According to the complaint—filed in a federal court in White Plains, New York—Muyshondt stands accused of pilfering details of Dannon’s business strategy, plans for forthcoming products, and lists of customers before he left the company in January to take a job with Chobani, which was not named as a defendant in the lawsuit. Muyshondt had worked at Dannon since 2010, but the company claims that in August 2017 he began downloading “thousands of files” which allegedly held yogurt-related secrets, along with confidential personal information, such as individual employees’ non-compete agreements and salaries. 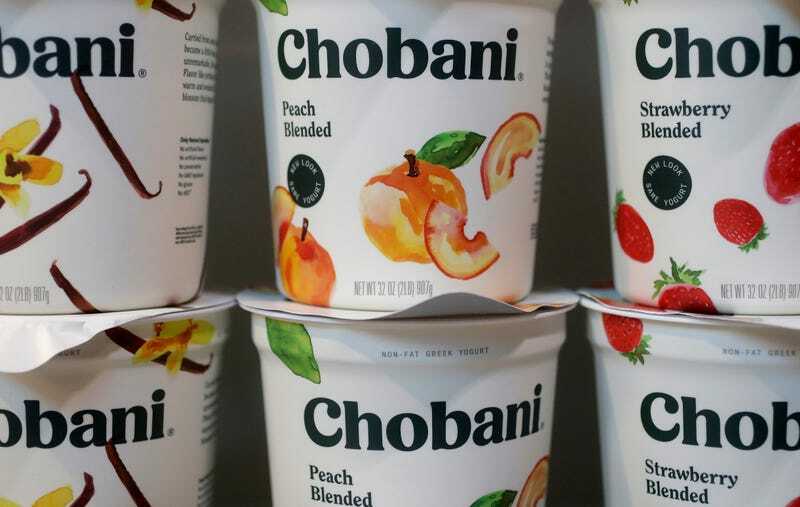 Reuters reports that Chobani, with its smash-success Greek yogurt lines, has become the top-selling brand on the market.